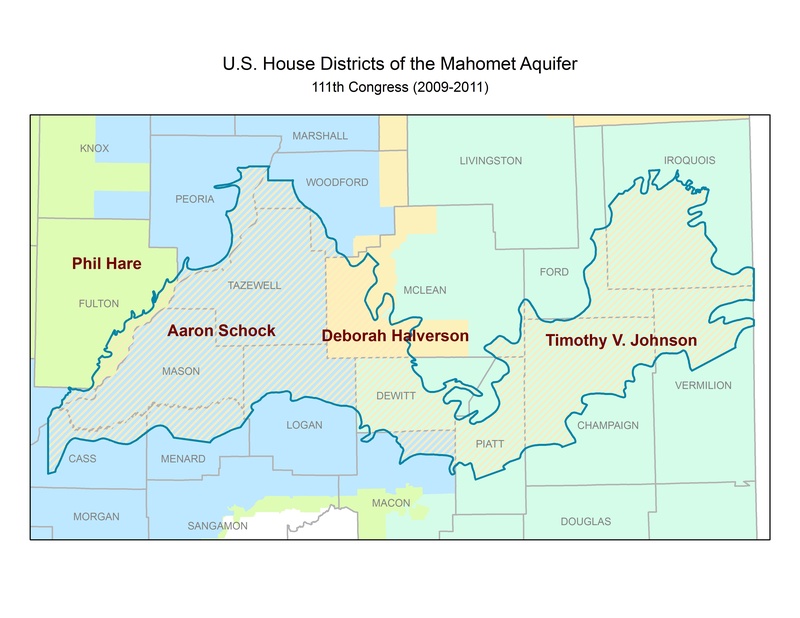 This map shows the sole source aquifer boundary for the Mahomet aquifer, as designated by the USEPA Region 5. 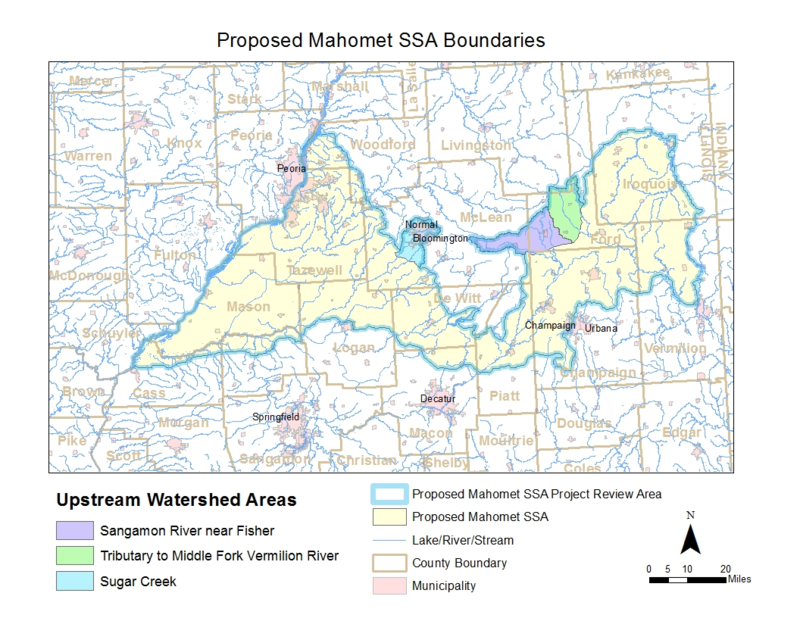 This map shows the sole source aquifer boundary for the Mahomet aquifer, which was proposed by the USEPA Region 5. 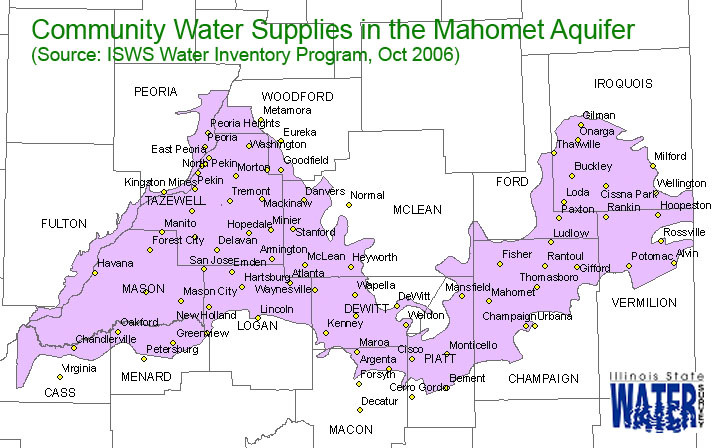 This map shows some of the water towers for communities in the Mahomet aquifer region. 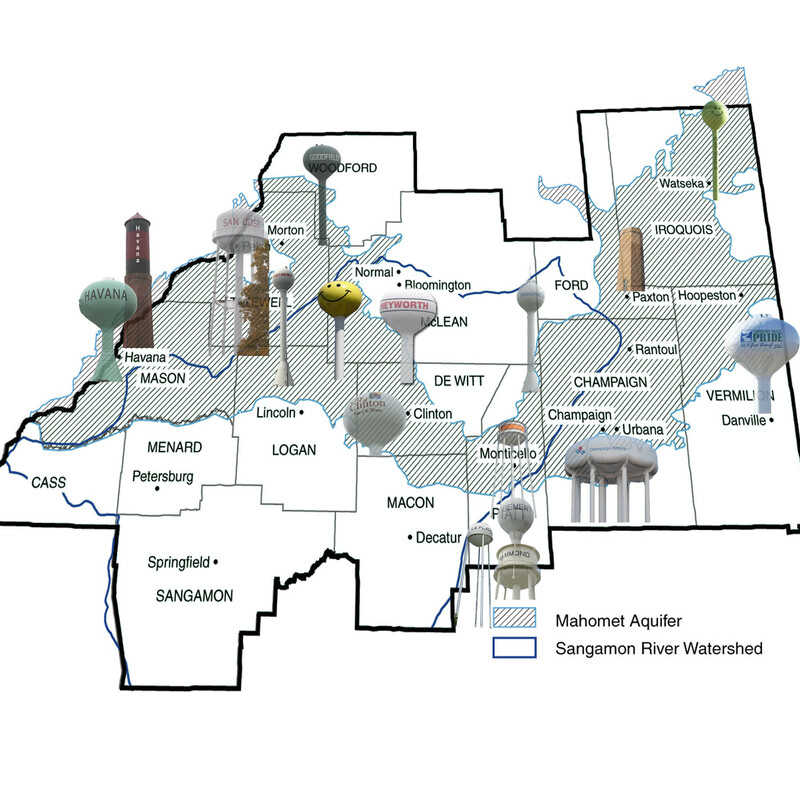 Feel free to send an image of your town's water tower. 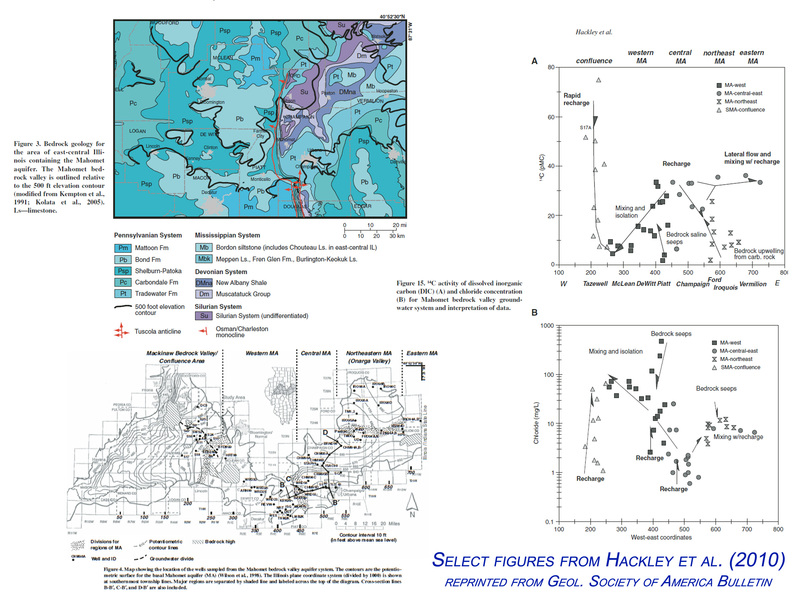 This figure shows the bedrock geology beneath the Mahomet aquifer, location of monitoring wells and the effect of recharge and bedrock groundwater discharge on the water quality in the Mahomet aquifer. 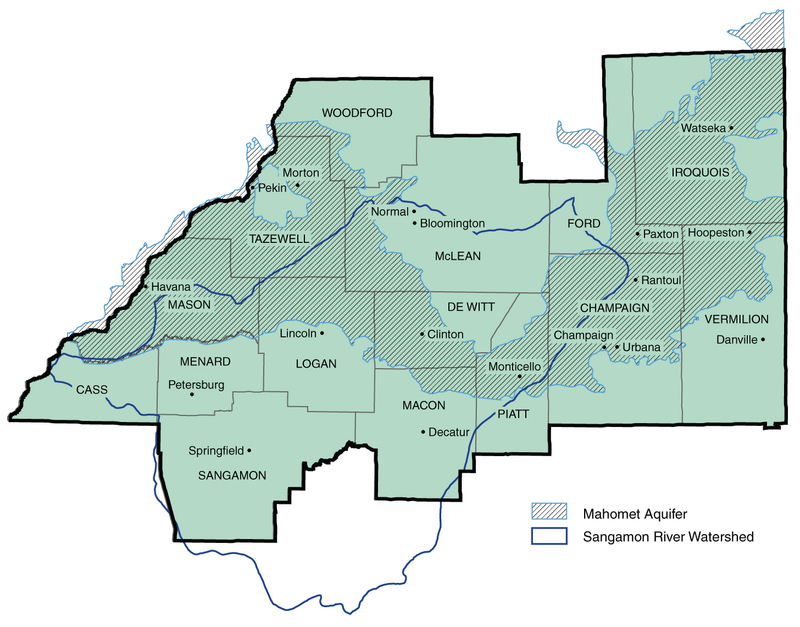 This map of central Illinois shows the boundaries of the Mahomet aquifer, the Sangamon River watershed and the 15 county area of the Regional Water Supply Planning Committee of east-central Illinois. 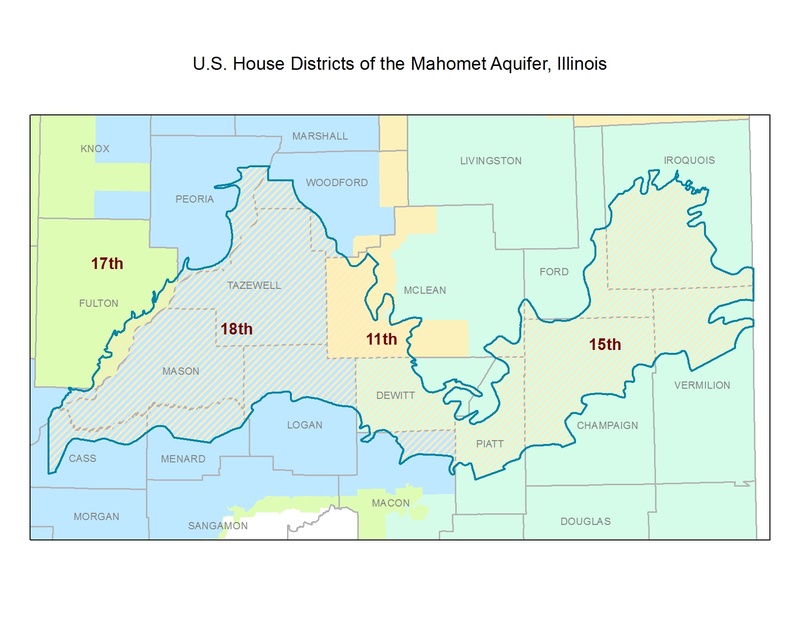 This map of central Illinois shows the aquifer (shaded violet), county boundaries, city/village water supplies. 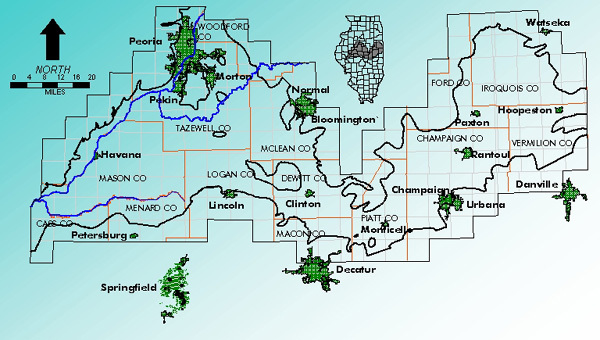 This map of central Illinois shows the aquifer boundaries (black lines), county boundaries, city/village boundaries and major rivers. 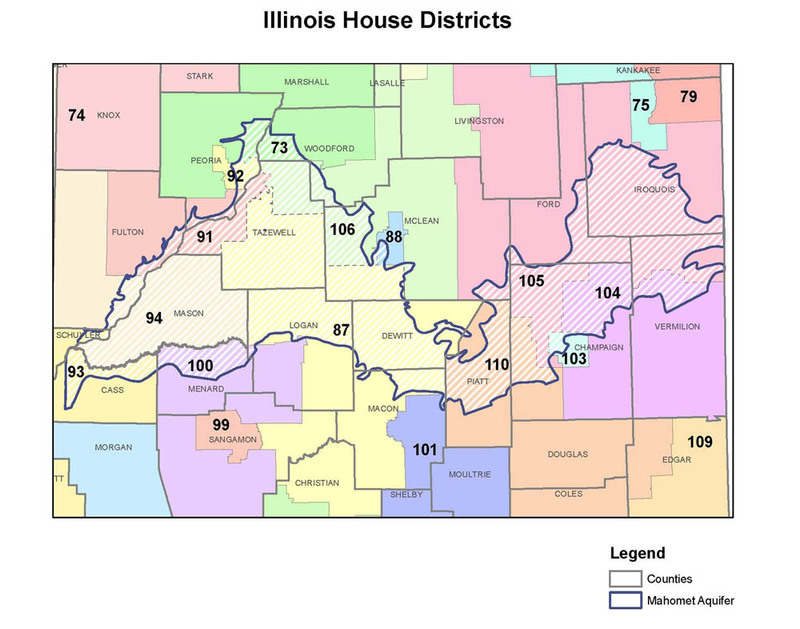 This map shows the aquifer overlying county boundaries and districts of the Illinois Legislature. 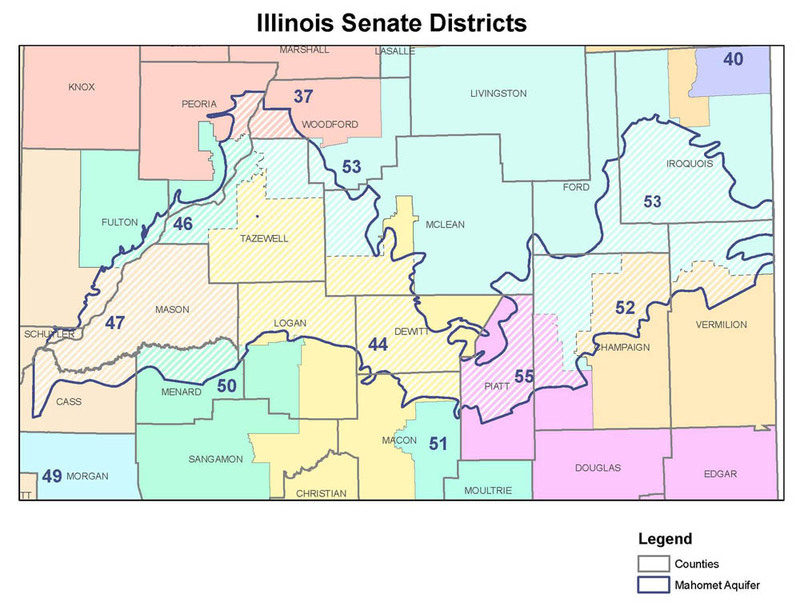 This map shows the aquifer overlying county boundaries and districts of the Illinois Senate.